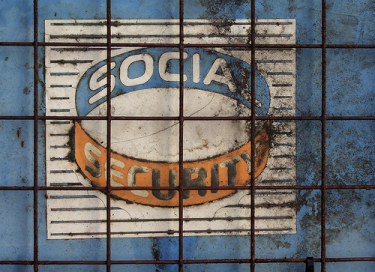 On Taking Your Social Security Payments Early. My mom finally called the other day to find out about taking my dad’s social security payments. We have been telling her to look into it now that she is getting close to the retirement age, and I wanted her to find out the different monthly dollar amounts she would receive if she started taking payments now at 65, in a few years at 67, or in 5 years at 70 years old. I am so glad that she called, as after she listened to the guy at the SS office and letting me run some numbers, we decided it was best for her to start taking the payments now rather than waiting a little. While some people think it’s a bad thing to take the payments somewhat early, I figured it was actually beneficial to my mom to do so. Scenario #1 – Mom waits 2 years to start taking monthly payments. Payment at that point is $2,000 per month. If she lives till she is 85, that’s a total of $432,000 being paid out over 18 years. Scenario #2 – Mom starts taking payments now at 65 years old. Payments would be $1,875 per month. If she lives to the same 85 years old, she would be paid a total of $450,000 over 20 years. See the difference? Just by giving up $125 per month and starting to take the payments now, she has the potential to receive much more in payments over the long term. The guy at the SS office was right – sure, you may be giving up a little per month for life by taking payments now, but how many thousands are you giving up per month until you start taking the payments? So if you or a loved one is nearing Social Security age and contemplating when to take the benefits, make sure you do the math and see the whole picture – not just the monthly dollar amount. Giving up a little bit each month could mean getting much more in the long term! Money Mistake Monday – Watching Every Last Penny Syndrome. See How Much Money Your Congressional Representative Is Worth. Unemployed? Yes, You Still Have To Pay Taxes. My mom also started taking her social security at age 65. It was the right move for her because it enabled her to stop working and she is now enjoying a lot of extra time with her grandkids. It really came down to whether she’d be able to meet her financial obligations with the social security income. In her case, she is able to cover all her bills (her house is paid off), and her interest income from 401k’s etc will help cover her hobby expenses. She won’t be traveling the world, but frankly she never planned to or made financial decisions to give herself that kind of retirement. Anyway, glad to hear your mom is taking it now. Sounds like it was definitely the right choice! I don’t think this decision can be made with only these two bits of knowledge. I think the big question is whether she can live on $1875 per month or whether there is more retirement income elsewhere to sustain her way of life. If she lives five up front stretching her every dollar when she could have worked a little longer and not had to worry about money for a few more years, wouldn’t that be better? If she needed that extra time to pay off her house or her car? Or if she LOVED her job. If she was going to miss her co-workers and having something scheduled to do every day. Boiling this decision down to the maximum amount you can collect from the government doesn’t make any sense at all to me. Clothdragon – My mom doesnt and hasnt worked. There is a GREAT(FREE) calculator over at blackrock. You have to be registered, I’d be happy to run the tool if you have an interest. Well, it’s a little too late as she is already taking them 🙂 Thanks though! Good read. When you get close to retirement this is something to consider. I understand you can pay back what you were paid and then get your SS payments at the 70 year of retirement rate. Got it, good to know. She’s all set though – she’s happy with her scenario! I had no idea that you could even do this!!! !